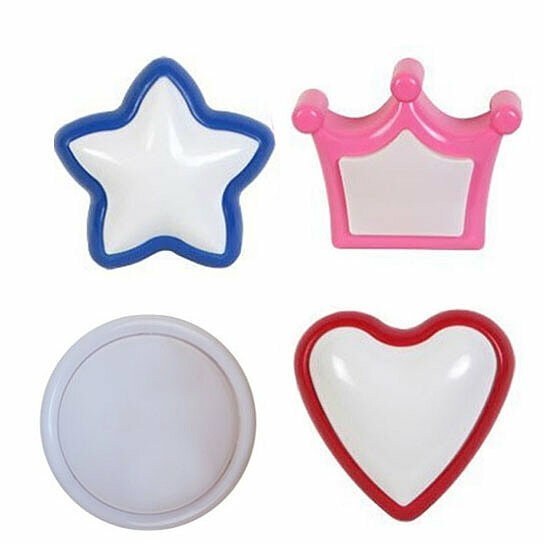 Please select an option Heart Star Crown Round Please select a Style. LED push lights are perfect for mounting to a wall, shelf, cabinet... almost anywhere! Simply remove the paper backing and stick the light to a cleaned surface. Perfect for closets, cabinets, cars, workshops, and camping. Each has super white LED lights and requires 4 "AA" batteries (not included).